In September of 2014, the Fullerton Community Band was pleased to announce that Bob Anthony had accepted an appointment as the FCB Music Director and Conductor. Bob is a well known and respected Orange County band conductor with a long history in music and music education at institutions such as Cypress Community College in Cypress, California and Kennedy High School in La Palma, California. Mr. Robert Anthony started his music teaching career in the Whittier School District, and for the last thirty years has been teaching music in the Anaheim Union High School District. For nearly twenty years Bob Anthony taught at Kennedy High School in La Palma, California where he was named teacher of the year three different years, and was runner-up for the Orange County, California teacher of the year in 2007. Under his leadership, the Kennedy High School Shamrock Regiment Band was expanded from 40 members to more than 300 members and as director, he inspired many students. The Kennedy Band was invited and traveled four times to Ireland and England, where they took top honors at the Dublin Parade and Limerick Band Fesival. Mr. Anthony was also invited to take the Kennedy High School Band to perform for the opening ceremonies of the 2000 Olympics, where he conducted the American contingent. His education includes a Bachelor of Arts in Music from California State University Long Beach and a Master of Science in the Arts and Letters with an Emphasis in Music from Southern Oregon University. His professional member affiliations include the Southern California School Band and Orchestra Association, the California Band Directors Association and the California Music Educators Association. He has hosted hosted field shows and festivals, adjudicated festivals and parades, and has served as a sectional coach for honor groups. 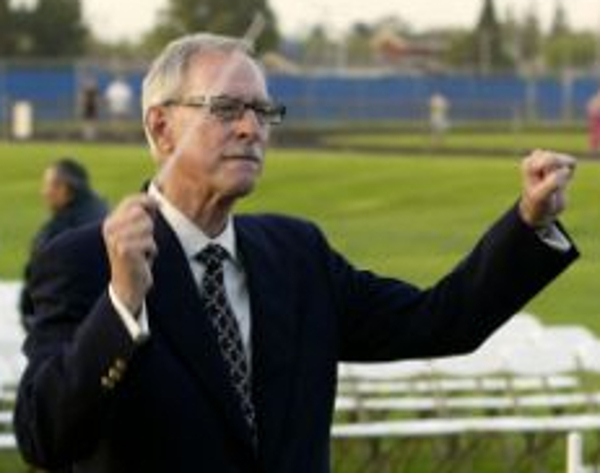 Mr. Anthony retired at the end of June 2010, but continues to teach music part-time at Kennedy High School, The Oxford Academy, California State University, Fullerton, and Cypress College. Please see this published article from the Orange County Register, published July 22nd, 2010.